At periscopeUP, we’re big fans of using more than one method of PPC tracking. Google Analytics is a no-brainer for most situations where you want to show a digital marketing customer what’s going on with their website. If you’re running a paid search campaign, PPC platforms like Google Ads or Bing Ads also provide tracking for activity and conversions. We recommend using the tracking that comes with the platform/marketing tool. Then compare with Google Analytics or other similar tool. This lets you to check if everything is working properly. For example: Bing tells me I have 5 conversions. Is Google Analytics telling me the same thing? Undoubtedly, each platform calculates data differently. so Analytics offers a short cut where data can be imported directly to Google Ads. All the numbers match, and you can show your customer perfect tracking. Happy customer, happy life! Right? Maybe not. Find out what your site does wrong – then fix it. Call us at (443) 475-0787 or Contact Us online. At periscopeUP we refrain from importing Analytics data into Google Ads. Why? Again, tracking the data with two different tools affords you the luxury of seeing if everything is working correctly. 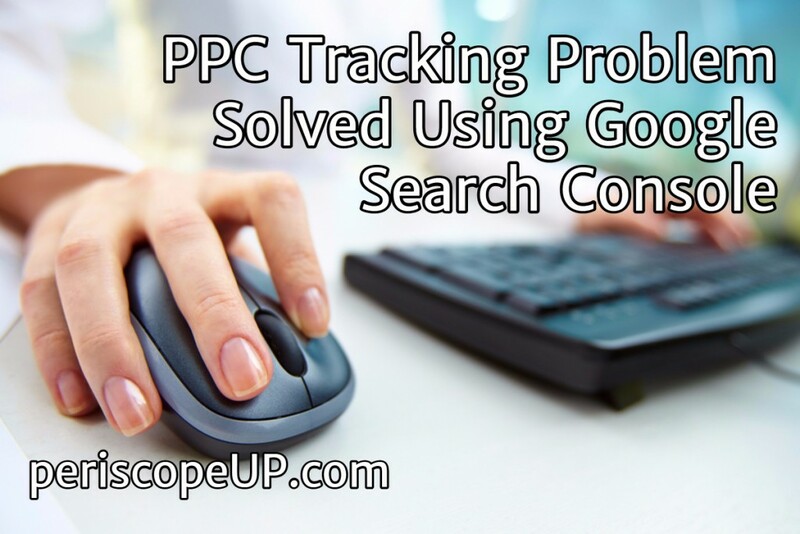 Here’s a case where tracking may have been missed if we had not used Ads conversion tracking separate from Analytics. Linking Google Ads to an Analytics account can be useful since you can apply revenue data with Ads cost data. But what happens when you have an Ads campaign with 17 clicks and 0 sessions? How does that happen? Here’s the Ads campaign as seen in Google Analytics, click with 0 sessions. Consequently, 0 conversions. Here’s the same campaign data in the Ads GUI where you can see the same clicks as they appear in Analytics BUT also you have conversions. How did that happen?!? 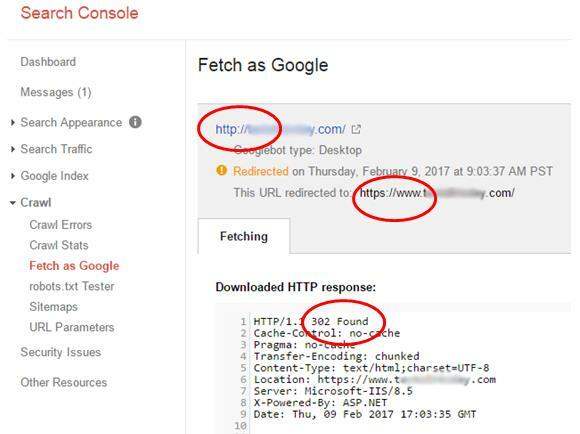 Yes, that’s a 302 redirect the customer has setup on http://domain.com going to https://www.domain.com. How does this affect PPC traffic?!? This PPC account has 3 other campaigns sending traffic to https://www.domain.com/sales-landing-page. All the conversions happening in those campaigns appear accurately in Analytics the same way they do in Ads. No problem there. Two different tools tracking nearly identical information. However… the Ads Brand campaign above has two ads in an ad group with final destination URLs of http://domain.com. So clicks are simply going to the home page because of its branded terms. This URL works but the Paid Search tracking was broken even though the Ads account is properly linked to Analytics! The conversions appeared in Ads correctly but were ending up in the Direct Channel in Analytics. This is a side note, but when your tracking breaks on non-direct traffic (email, PPC, other ad platforms), it will end up in the Direct channel. This can really skew your Channel numbers. Using two different tools to ensure data is tracking accurately is a simple strategy to verify campaigns are working as intended. When you do find something isn’t quite right in your tracking, think outside the box. There just may be an atypical resource that can tell you exactly what’s going wrong with your campaign tracking. Poor site performance? Do a website audit. Call us at (443) 475-0787 or Contact Us online.